PTi provides a selection of shears, stacking systems and sheet winding options designed to accommodate a comprehensive range of sheet production applications. From robotic style stackers (single or dual station); to fully automatic winders, PTi offers a single source solution for your sheet handling needs. In-line web slitting allows multiple rolls from a single web. 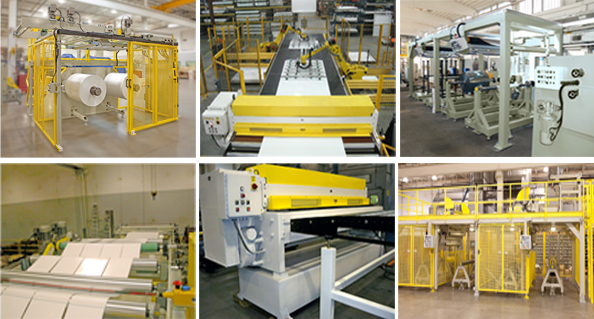 Automatic roll handling system also removes core rods and prepares the roll for placement into inventory. Precision rotary saw with edge trim recovery system provides clean edge trimming and out-to-length functions.